A recent study has shown that mangroves play a crucial role in buffering coastal lands from the effects of sea level elevation. These forests are vital as they have the ability to remove carbon from the atmosphere and protect people from natural hazards. In an interview with Down To Earth, Barend van Maanen of the University of Southampton, who is interested in the evolution of coastal systems and their response to environmental change, speaks about the importance of mangroves. Forests are our Earth’s lungs. How important are mangrove forests compared to other types of forests? Both mangrove and terrestrial forests provide important ecosystem services. 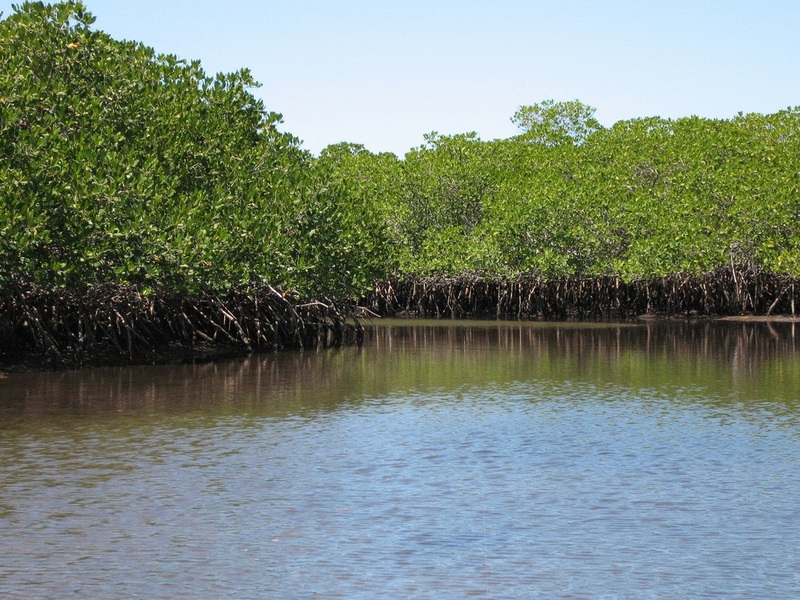 Mangrove ecosystems are also extremely effective in sequestering carbon dioxide. They play a key role in mitigating the effects of anthropogenic emissions of CO2. In addition, our research has now shown that mangroves can help protecting coastal areas against sea level rise. Why did researchers choose mangroves in New Zealand when these forests also occur in tropical countries? The situation in New Zealand is a bit unusual as (there) mangrove forests are actually expanding while in most other countries these areas are rapid(ly) declining. This is because of land-use changes in the catchment which has caused increased sediment supply to estuarine environment, creating new habitats for the trees. This is why we were interested in studying New Zealand mangroves, but now we would also like to expand our research to mangrove ecosystems elsewhere. Please explain in detail how researchers used simulations to study the effect of mangroves on sea level rise? For our study we built a new computer model that accounts for the interactions between mangroves and physical processes like tidal flow and sediment transport(ation). We then carried out simulations to explore what will happen when (the) sea level starts to rise. (We found) the trees are capable of slowing down the currents and stabilising the sediments. Also, mangrove trees produce organic matter which raises the bed elevation, a process which counteracts the effects of sea level rise. Are coastal areas more prone to climate change? Is there a chance that coastal areas will cease to exist in case of sea level elevation? Coastal ecosystems are of high value for a number of reasons, but indeed also very sensitive to sea level rise, and other potential impacts, like increased waviness. How resilient these systems are is still largely unknown and more research to better understand how these systems will respond to changes is urgently needed. What about the Sundarbans delta, the largest in the world? To what extent it is threatened by climate change? The Sundarbans mangrove forest is the largest in the world and although climate change will almost certainly have an impact, it is still uncertain how this highly complex system will evolve under future conditions. Making predictions is difficult not only because of (the) unknown sea level rise effects, but also because of the changing socio-political pressures. Some of my colleagues in Southampton focus on these issues. What about those coastal areas which lack mangroves. How will they resist the sea level rise? In the more temperate regions of the world, where mangroves are not present, other types of vegetation like salt marshes often occupy coastal areas. Salt marshes can give rise to similar types of feedbacks as mangroves, and previous research has already shown that these plants can also help to protect estuaries and coastlines against sea level rise. Keeping in view the state of affairs and apathy of governments world over the future of mangroove looks rather grim.But this is to be reminded that mangrooves are natural barriers against various natural dangers as cyclone and tsunami to name a few,besides having medicinal and recreational values.so a greater awareness generation and introducing comprehensive environment module in basic education can be a way out.